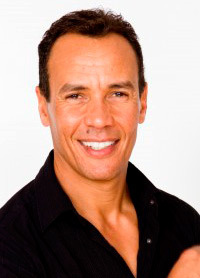 Robin Banks is one of South Africa’s leading personal development trainers and motivational speakers - committed to the process of change and transformation in South Africa. His ultimate desire is to empower people to take charge of their lives and create a brighter future for themselves, their community and our country. He is a prolific speaker and presenter and has an amazing ability to combine solid content with a humorous and dynamic presentation. People from all walks of life, from shelf packers to CEO’s, have been transformed and inspired by Robin’s presentations. Robin Banks has a very diverse background in construction, sales and retail, and it was only in 1995 that he discovered his passion for people development when he was Programme Director for the RALI project, a rich and dynamic multicultural Youth Leadership programme. As a result Robin Banks has an enormous affinity for working with people from all walks of life. Robin Banks has travelled and studied abroad in “the Art of Communication” and “Understanding Group Dynamics”. Robin Banks is a prolific speaker and presenter, conducting various programs for organisations throughout South Africa. Robin Banks’ most successful programme is the “Victim to Victor” one or two day workshop. This workshop is a powerful catalysing process designed to address negative and resistive mindsets existing within the workplace. If you needing Corporate Entertainment - We have South Africa`s TOP Artists. Hire a Comedian, Master of Ceremonies, Live Bands, Dance Acts - You can even Hire a Magician We have the very BEST in Live Entertainment for your function or event.